CBSE has finally started with its most elaborate examination exercise for the year. 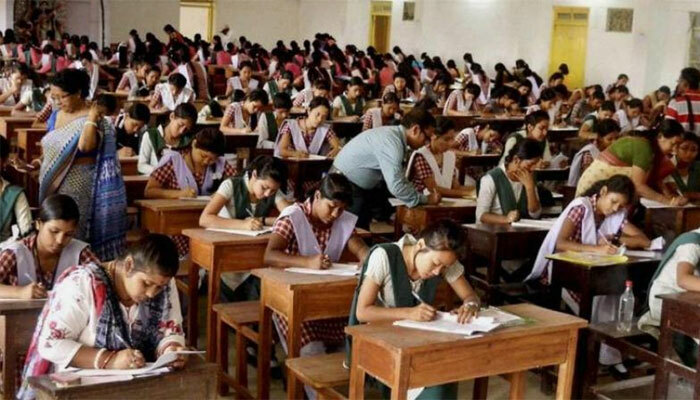 The CBSE Class 10 and 12 Board Examinations 2018 started from today and as is a practice, Class 12 Board Exams started with English Paper. We bring to you the first verdict on the English Paper of Class 12 straight from the teacher’s and students. And the initial analysis of the paper is – lengthy but easy. Teachers believe that students would be able to attempt the paper with ease. As for the students, the first reaction was a happy smile on a paper well done. Reactions of the students stepping out of the examination hall were mixed. There were students who complained about a paper that was too lengthy. A student reported that she had to rush through Section C and would have wanted another 15 minutes to do the paper well. But there were seldom any students who complained of a difficult paper. Teachers were happy as well. Some were concerned that students may have found it difficult to finish the paper in the three hours. Another teacher, however, suggested that it was of optimum length. Here is a Section wise analysis of the CBSE Class 12 Board Exam 2018 English Paper. Teachers have confirmed that all the sets are same, only the numbering of the question varies. Also Read | Attention candidates! NEET 2018 now accepting applications from candidates of open school, above 25 years! Section A – A bit lengthy but easy and direct questions. Section B did not have value point or hints, which would make the paper easy for many. Teachers believe that students with average writing skills would be able to attempt the section easily. The teachers also noted that there were decent choices in the paper, which would make it easy for students. Also, the writing section does not have the letter to the editor which usually makes it tougher. Section C – All Direct questions and nothing confusing question. Teachers were exceptionally happy with the Section C, which is literature and has 40 marks to itself. Direct questions from the chapters would make it the easiest section for all the students. Even students who are average, teachers commented, would be able to attempt the section with ease. Agreeing to the analysis of the teachers, students too showed excitement over the first paper. Most of the students were pleased with the question paper. The next examination for CBSE Class 12 students is Physics. With just one day to revise, students were eager to rush back home. CBSE Class 12 Board examination 2018 ends on April 13, 2018.